A genuine heavy track appears set to greet punters at Randwick for Saturday’s Spring Champion Stakes meeting. Already a Soft 7, rain, rain and more rain is the forecast between now and raceday so looking for runners who are proven on Heavy ground shapes as what’s required for success. We’ll go to the feature event for our best of the day, Thinkin’ Big in the Group 1 Spring Champion Stakes (2000m). 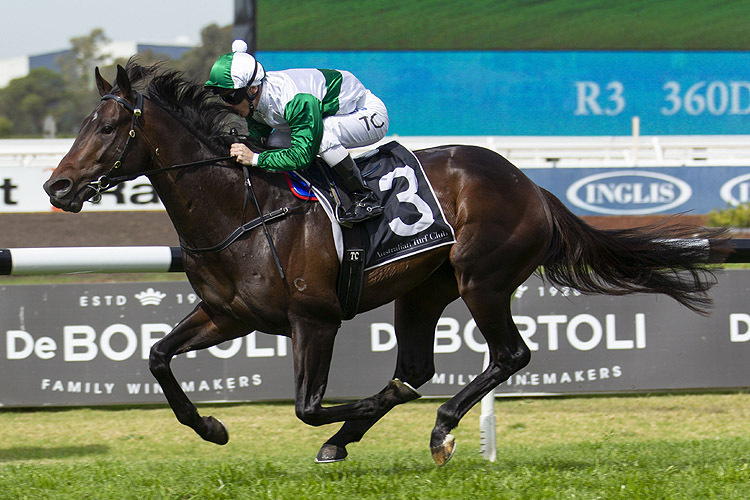 The son of High Chaparral could not have been more impressive at Rosehill two week’s ago, dominating the Group 3 Gloaming Stakes (1800m). Thinkin’ Big contested the race off an eight week break and stepping up 1 1⁄2 f in trip. It was hardly a conventional lead up into the event however the Waterhouse-Bott-trained colt was a cut above his rivals, leading throughout for a 2.5 length victory. The three-year-old beat three rivals he again faces on Saturday and is expected to offer up a similar serve on Saturday. The Gloaming Stakes each year tends to be the dominant form line heading into a Spring Champion Stakes. Four of the last six Gloaming Stakes winners have gone on to claim the double by taking out the Spring Champion Stakes, It’s A Dundeel (2012), Complacent (2013), Vanbrugh (2015) and Ace High (2017). None of them went into the Gloaming Stakes off a freshen. There is plenty of upside about Thinkin’ Big heading into Saturday’s Spring Champion Stakes and the kicker is he is proven on rain affected ground having won his debut on a Heavy 9 surface over 5 1⁄2 f at Canterbury. In terms of a value play, Zourkhan just scrapes into the each way category contesting the Jacobs Creek Benchmark 88 Handicap (1600m). Zourkhan lines up here off a convincing last start success over 1 1⁄8 m at Rosehill on a Heavy 8 surface. It was his first look at a genuine rain affected surface in over two years and the son of Shamardal capitalised, putting 2.5 lengths on his nearest rival. Form out of the race has since held up well. From ten subsequent runs, the race produced three subsequent winners (Excelsior, Impavido and Royal Stamp) and as many city placegetters. A drop back from 1 1⁄8 m to a wet Randwick Mile off a four week let up looks ideal. His record on rain affected ground reads three wins and as many placings from seven starts. 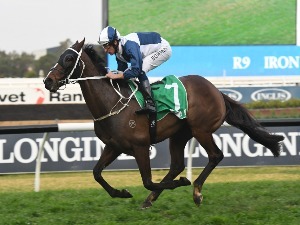 The French import strikes a race here with some rivals who resumed in good order at their respective last starts however don’t possess the same wet track credentials or fitness at the Chris Waller-trained runner. Betting on a Heavy surface such is the case at Randwick tomorrow can prove something of a minefield however the above mentioned pair have already proven they don’t spin their wheels when the rain arrives. Good luck!